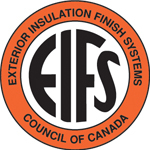 Like most interior and exterior walls, an EIFS stucco application can and will be subjected to surface damage. Although the blight may be minor in nature, it can be distracting and even disturbing to the property owner because it is on the outer facing or an exposed corner and is therefore visible to any and all occupants, tenants, clients, passersby, etc. 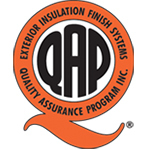 Furthermore, if left unattended, minor stucco damage can develop into a major issue rather quickly, leading to potentially expensive wall repair or restoration costs. 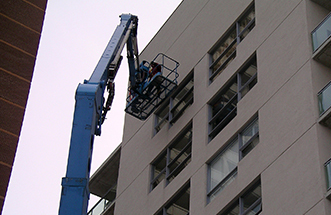 To avoid such an unwanted and unwelcomed situation, Canadian Stucco offers the experience and skill to perform stucco repairs swiftly and efficiently, with minimal inconvenience/disruption for the property owner and for any visitors/patrons. Not withstanding the extent of the damage or its position/location on the wall, Canadian Stucco will conduct the repair with the utmost care and attention to detail. 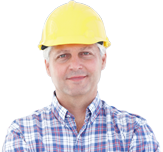 Our experience crews will make every effort to complete the work as seamlessly as possible to minimize or perhaps even eliminate any evidence of the repair/patch. With respect to corner damage, one alternative may be the installation of quoins or overlays that resemble concrete blocks. 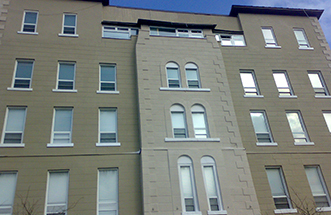 These quoins are placed directly overtop the corner, offering a less expensive route of repair – it should be noted that, for aesthetic purposes, matching overlays should be installed on the opposite corner of the wall even though it may not have sustained any damage. If the finish coat of your stucco wall has experienced some degree of damage and is in need of immediate professional repair, call the stucco repair experts at Canadian Stucco today at 416-5-STUCCO or 416-528-8226 to schedule an onsite inspection and obtain a quote.